construXnunchuX: Xmas Jamz - Loose Tapestries Can't Wait for Christmas! Xmas Jamz - Loose Tapestries Can't Wait for Christmas! What started as a vehicle to provide music for Might Boosh alum's new show called Luxury Comedy has turned into another hit phenomenon in the UK. 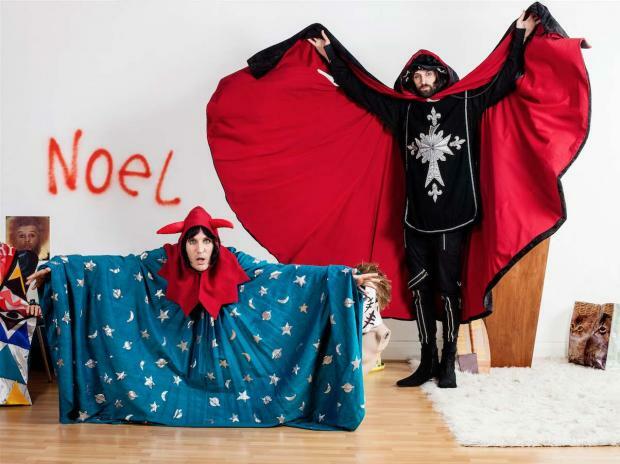 Formed by the genius Noel Fielding and Kasbian lead singer Sergio Pizzorno. Oh course they perform hilariously strange songs about anything from not liking a dude in a brown hat to mashed potato people. It's a natural extension of Noel's creativity and this X-mas song is not only bizarre but predictably catchy. Give it a listen!